We recently caught up with the owner of Spirit Deckhouse 60’ Spirit of Rani to find out what attracted him to Spirit Yachts and why he enjoys the live aboard lifestyle in the Caribbean. Tell us more about why you chose a Spirit yacht. “I decided to buy a Spirit yacht as I love classic designs but wanted to live in comfort and Spirit was able to offer both of those things. It was also important for me to be able to sail the boat short-handed, which Sean* took into account when designing Spirit of Rani. Sean was also willing to build me a deckhouse design, which keeps me dry or cool if needed. The deckhouse also makes sure you do not have any need for plastic on the boat while sailing, such as a spray hood for protection. *Sean McMillan, CEO and head designer at Spirit. What attracted you to the live aboard lifestyle? “Once a sailor, always a sailor…. For me, Spirit of Rani is like a beautiful summer house, but I am able to move her around to places I want to be and at the times I want to be there. What is it about Spirit of Rani you particularly enjoy? Do you have any top tips for other Spirit owners cruising in the Caribbean? “Every island in the Caribbean is very different and it is important for everybody to explore and find out which spots they like best. Sailing between the islands is easy and most of the time the wind is coming from the side; perfect cruising conditions. My favourite places have been the Les Saintes, Dominica and Anguilla as I prefer the quieter islands. The BVIs are also very nice sailing grounds but the distances from one island to the next are very short and sometimes too short to set the sails. 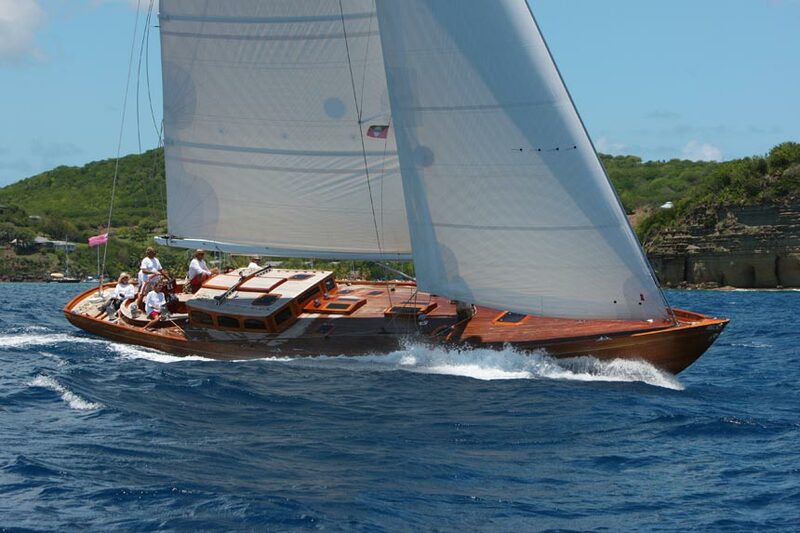 Spirit of Rani competed at last year’s Antigua Classic Week, would you recommend the event to other Spirit owners and if so why? “I have now sailed the Panerai Antigua Classic Week twice and both times I really enjoyed the regatta, what’s not to love about sailing alongside gentlemen and with beautiful, historic boats all around you? To find out more about entering Spirit yachts into classic regattas around the world, or for any other information, please contact [email protected].